A word of explanation. Yes, it’s not a new game, it’s been featured here before. But I am starting a new manner on this site, I want to remind you about those older games, because they’ve been tweaked a little. 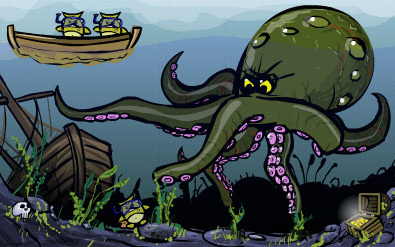 Octopus is the first to go. Enjoy.